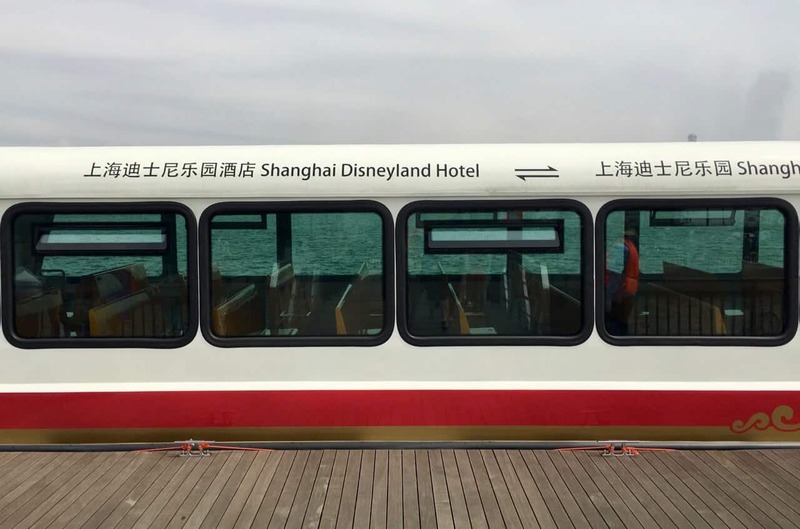 Shanghai Disneyland Hotel is one of two hotels at Shanghai Disney Resort, the other being the Toy Story Hotel. 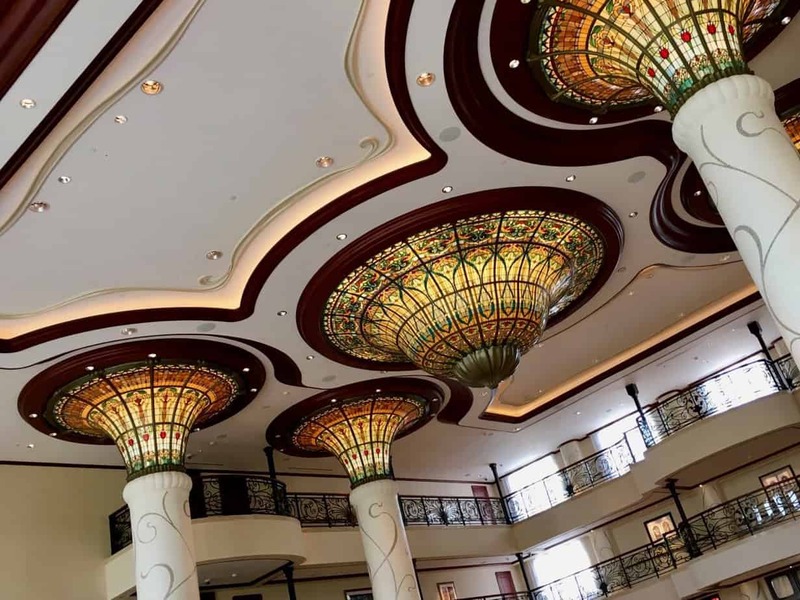 This elegant and luxurious hotel is styled after “splendid Art Nouveau décor,” which only begins to touch upon the beauty of this hotel. 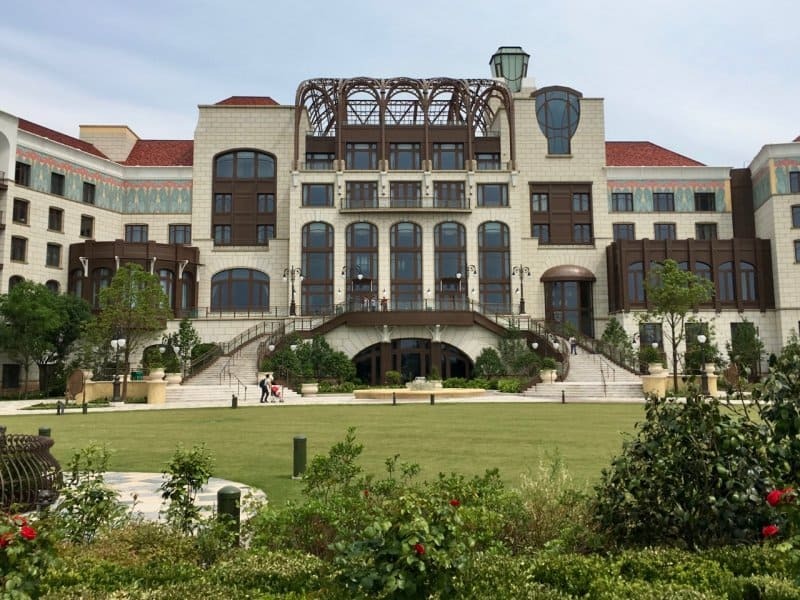 I based our review on our stay during the Grand Opening. 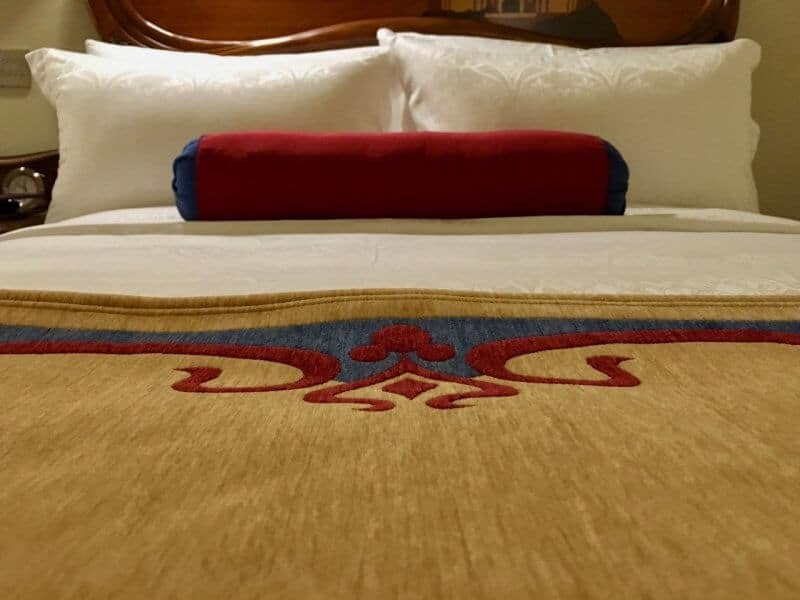 Our full review covers the costs, description of our room, and our thoughts on the restaurants and amenities. 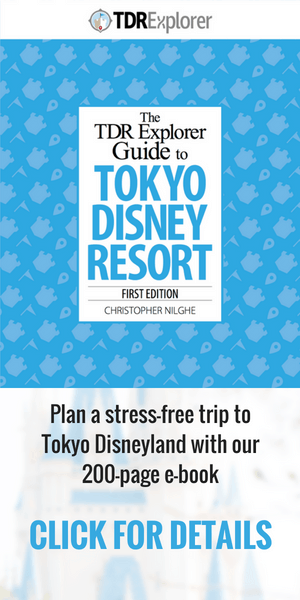 If you’re planning a trip to the newest Disney Resort, then make sure to check out our full planning guide (which includes information on visas and SIM cards), 4-part trip report, podcast episodes, and videos. 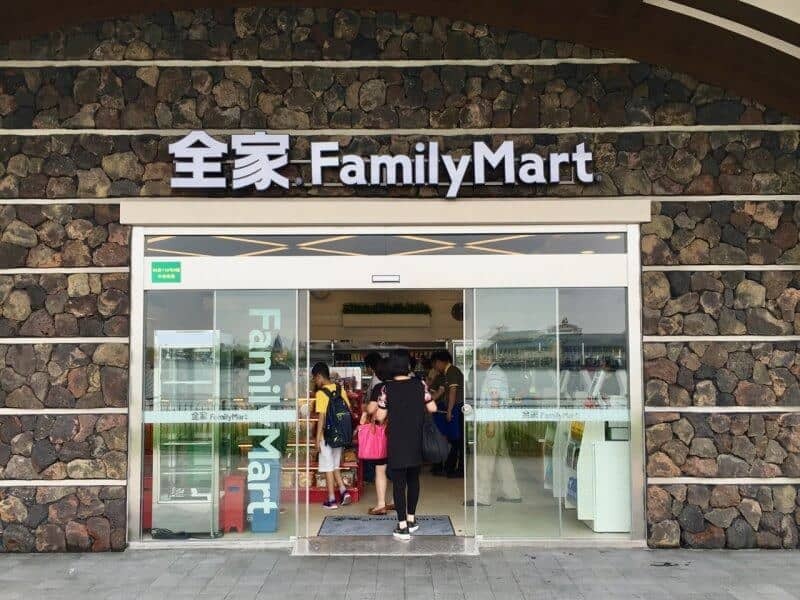 Rooms start at ¥1,650 CNY (~$239 USD) for two adults. 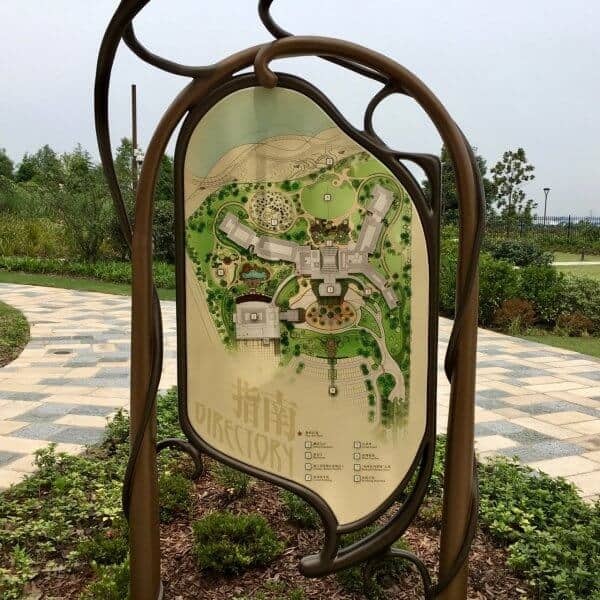 It’s an extra ¥200 CNY (~$30 USD) per person per night if you want to add up to 4 people for the Deluxe Garden View. 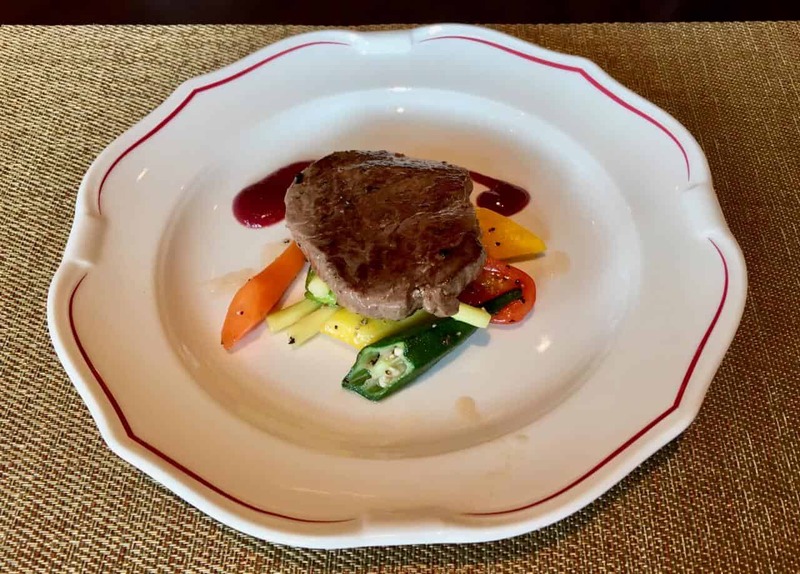 The Club Level and Fantastic Suite start at ¥2,500 CNY (~$362 USD) and ¥6,650 CNY (~$965 USD). The cheapest room here is about $110 USD more per night compared to the Toy Story Hotel. During our trip, we stayed in Deluxe Garden View Room. As mentioned in our review for the Toy Story Hotel and in our planning guide, the best and easiest way to get to the resort is by taxi. The cost is about $20 USD and is much easier and less frustrating than taking the metro, which requires multiple transfers. As a caution, take a taxi from an official stand at the airport and ask the uniformed dispatch person what the cost is to the resort and have them write it down. This is to avoid the taxi driver overcharging you, which happens in Shanghai. If the taxi driver asks to drop you off anywhere BUT the front of the hotel, make sure you insist they take you to the front of the hotel. This is another way to avoid any disputes in the price. Our Garden View Room had a less-than-thrilling view from the front of the hotel — understandably so. But that did not take away from the elegance of the room. 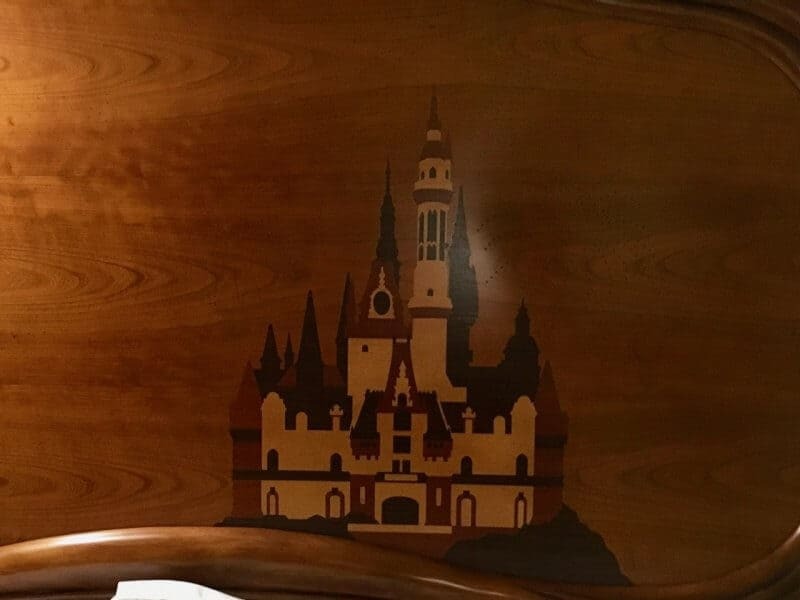 I adore decor which achieves both subtle and not-so-subtle Disney aesthetic. The room reaches both of these achievements. 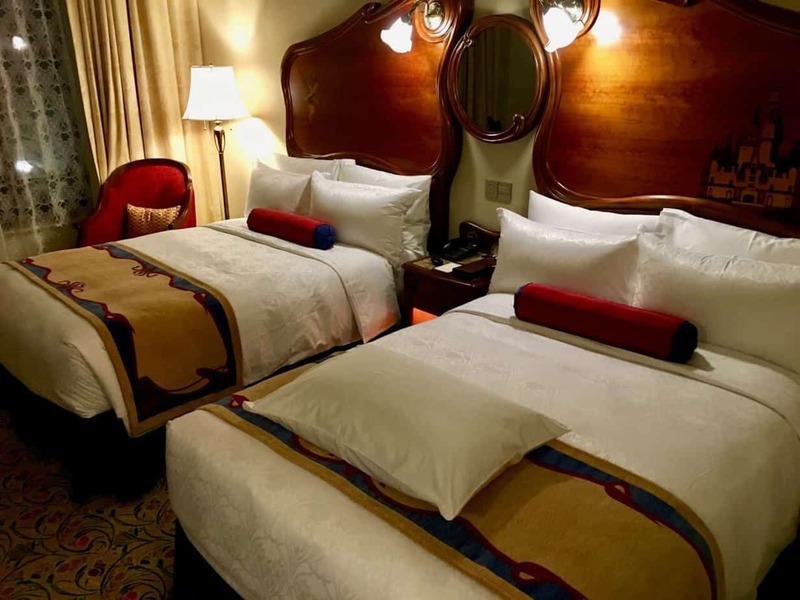 The beds are firm, and if you have read our other hotel reviews, this is my preference and is common in Asia. But these were soft enough that I found myself asleep in no time (although being in the park all day would have been a cause as well.) The not-so-subtle Mickey on the bed running is a nice touch and the headboard for both beds is my favourite aspect of the room. 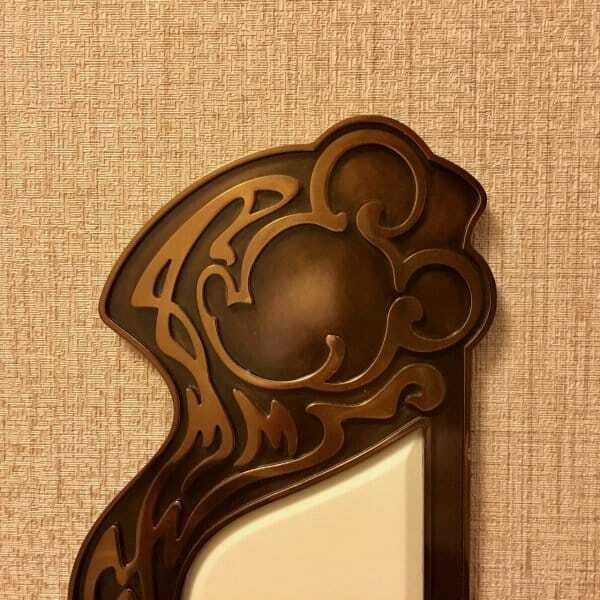 A headboard spans across both beds with a large Mickey mirror in between. 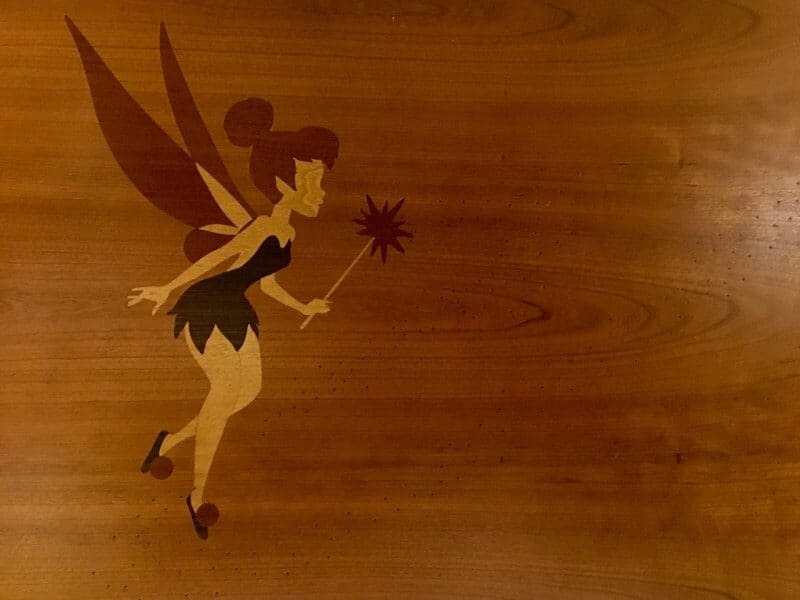 Pixie dust sparkles across the headboard and finishes off with a “hidden Mickey” on the mirror in the middle. This small touch was something I did not expect, and unexpected touches are always the best. 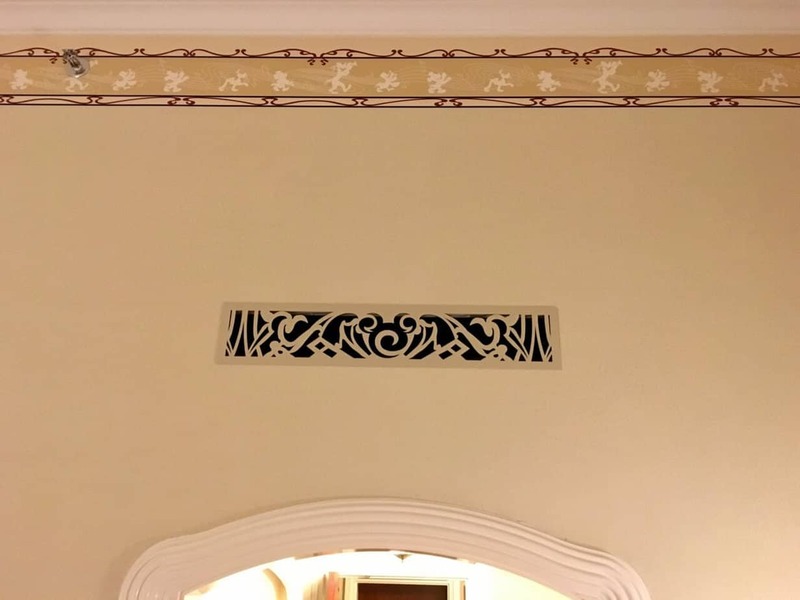 The trim, wallpaper, and portraits are classy and fit well with the theme of the room. The bathroom was simple yet elegant. The only Disney aesthetic I saw was Tinkerbell in the mirror. The raised illuminated sink/counter is a nice touch and gave the room a beautiful glow. The rest of the bathroom is nothing special, which is a bit disappointing for such deluxe hotel. The room amenities were nice but nothing spectacular. 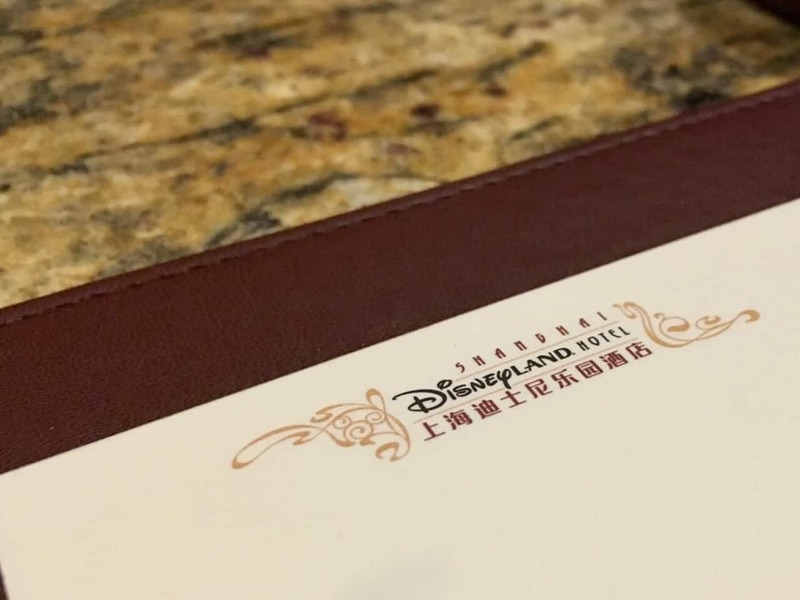 I did love the heavy paper bag with the Shanghai Disneyland Hotel logo on it, and the slippers. Of course, we all kept some, along with the notepad and pen. The outlets in the room have both the two-prong and three-prong outlets. Your USB two-prong adapter fits in the two-prong without a converter — the one you get with your iOS device works fine. 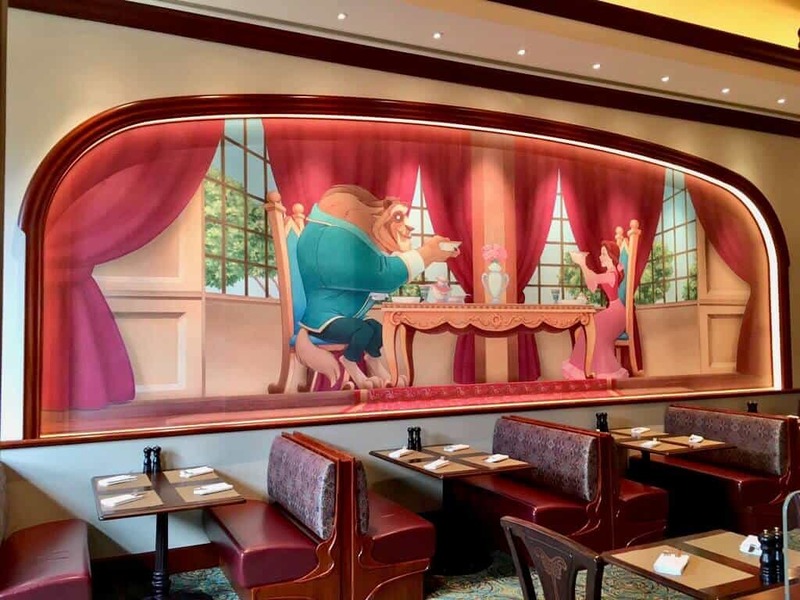 Overall, the room is beautiful with enough elegance and Disney aesthetic to satisfy any fan. 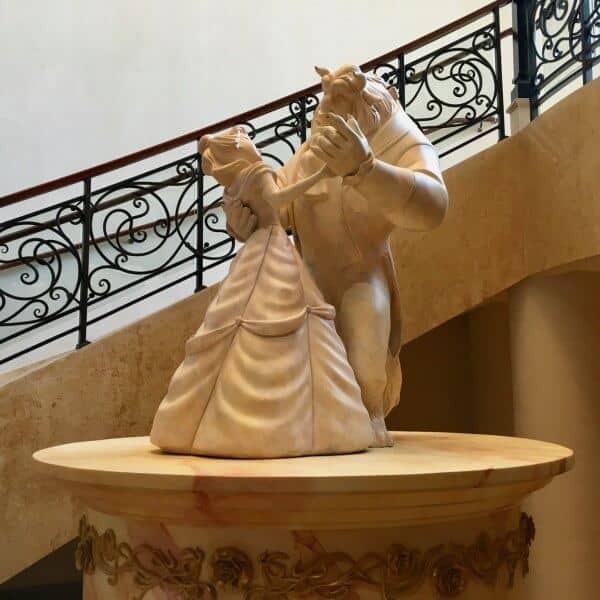 The theming differs from the Victorian theme at Hong Kong Disneyland & Tokyo Disneyland Hotel — for the room and the entire hotel. Which is a nice change of pace from what we’ve seen at other Disney Hotels for quite a while. 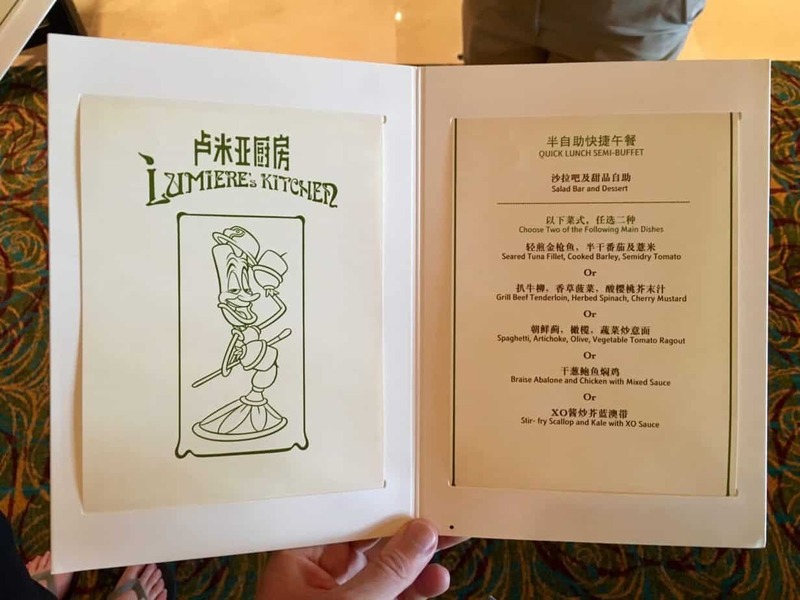 Shanghai Disneyland Hotel has four options for dining — Aurora, Bacchus Lounge, Ballet Café, and Lumiére’s Kitchen. The only one we did not get to try on our trip was Aurora (Although I have friends who went and said it was spectacular. I’ll give it a try on our next visit). 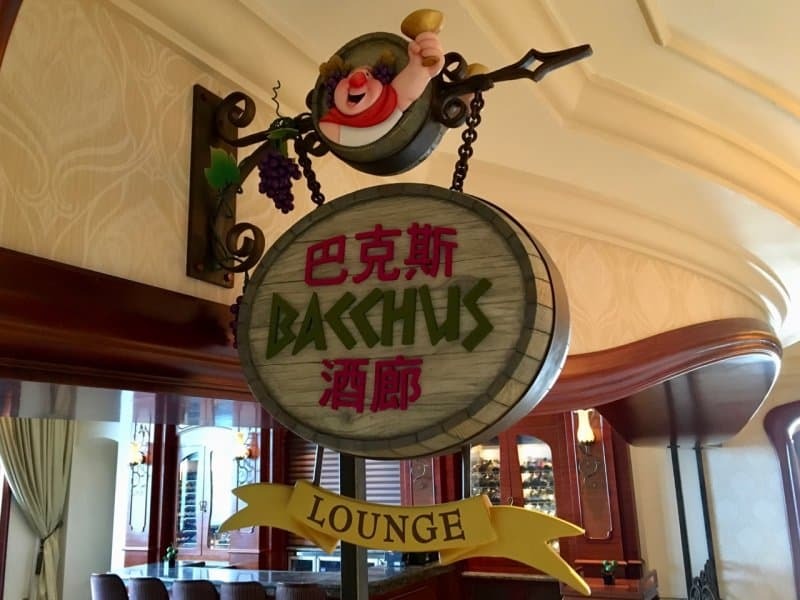 The Bacchus Lounge is a beautiful and relaxing spot for a drink, located just off to the side of the lobby, and is a great place to unwind after a long day at the park. An extensive drink menu kept me more than happy. 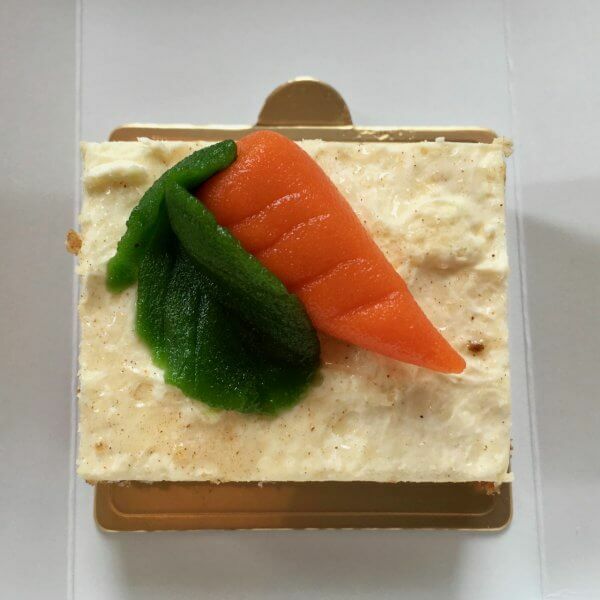 Ballet Café is a quick-service counter perfect for a grab-n-go breakfast. 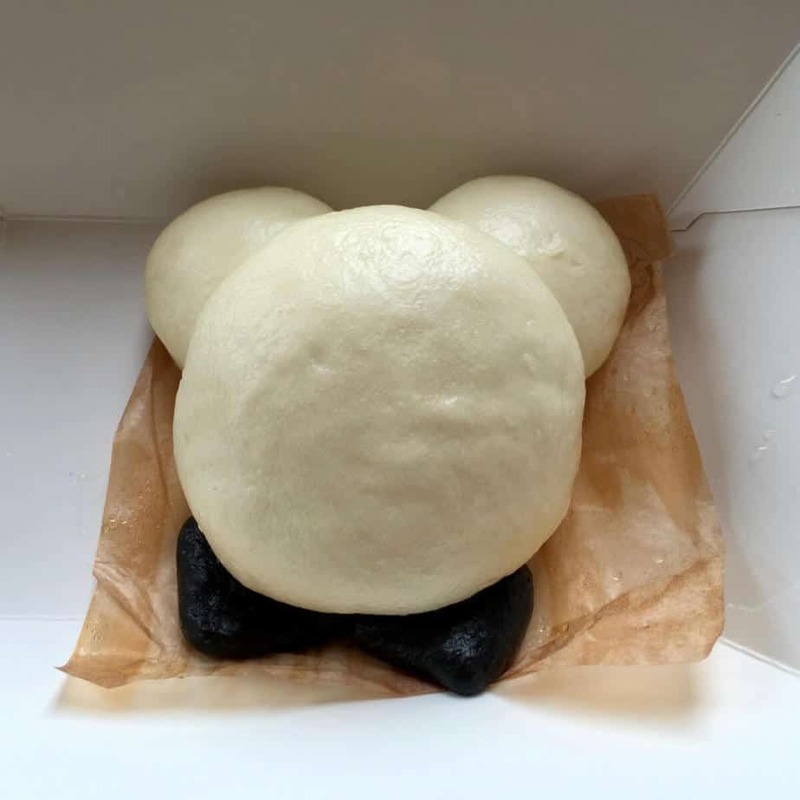 My favourite was the steamed pork bun in the shape of Mickey and the carrot cake (which I love and is not common back in Japan). Their choice of coffee is nowhere near Starbucks level but is fine for your caffeine fix. There’s a Starbucks in Disneytown as you walk to the park, which is what I did most mornings. 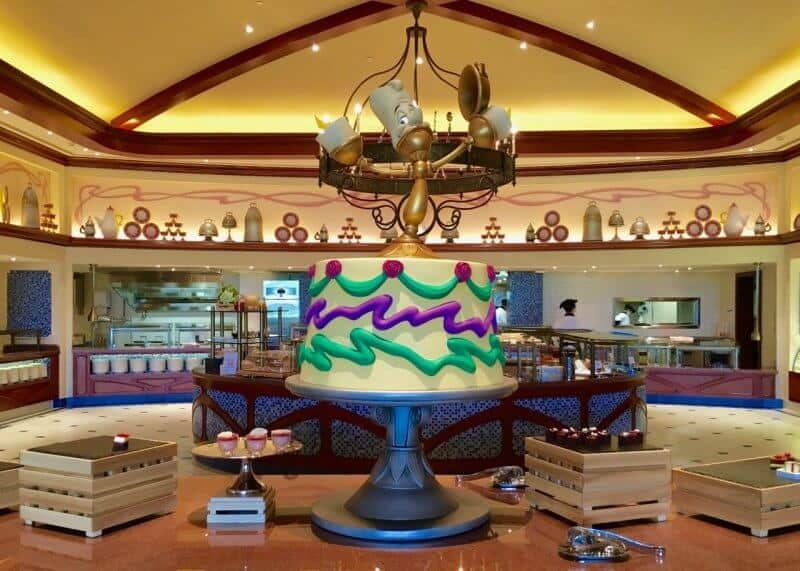 Lumiére’s Kitchen is a character dining experience on the first floor of the hotel. If you’re staying at the hotel, you can make a reservation with ease (otherwise, you should phone ahead). The interior is a mixture of subtle and not-so-subtle (I sense a common theme here) Beauty and the Beast aesthetics, which I think is brilliant and one of my favourite parts of the hotel. When we went, it was at the end of lunchtime so we didn’t get to see the characters. 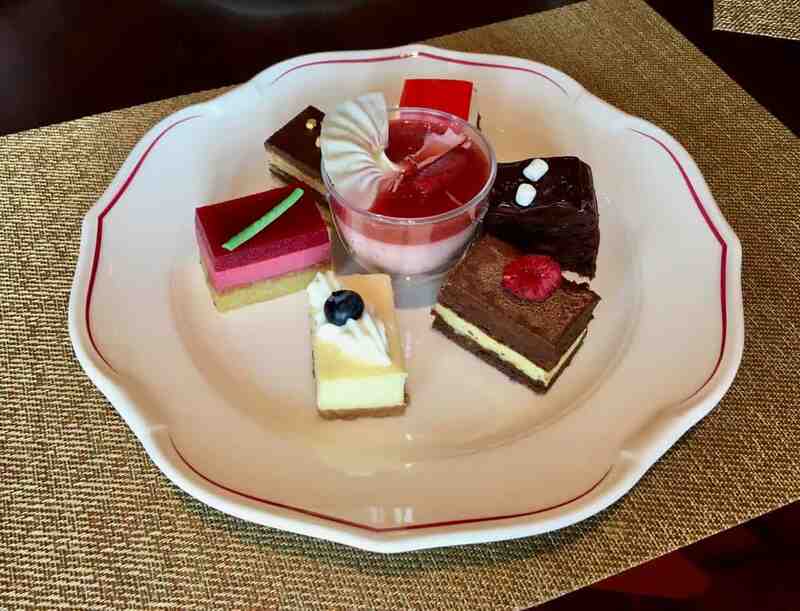 But the food was decent and the dessert selection extensive. 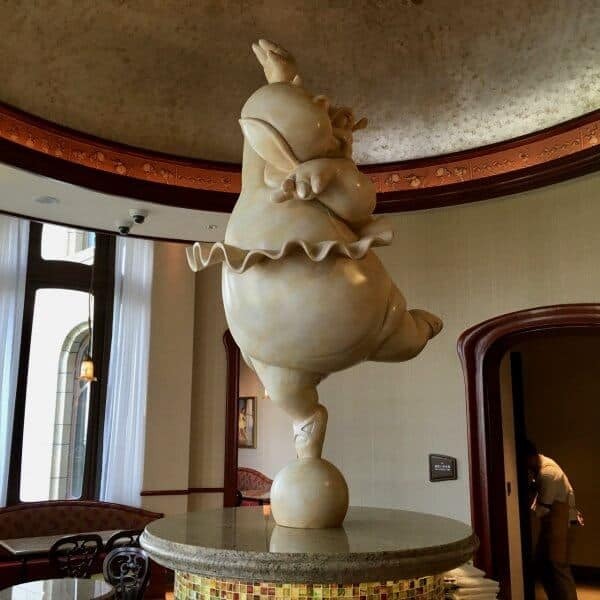 Unlike the Toy Story Hotel, the Shanghai Disneyland Hotel has an indoor pool called King Triton Pool. During our stay, we didn’t get a chance to visit (I have a bad habit of not visiting hotel pools in general). 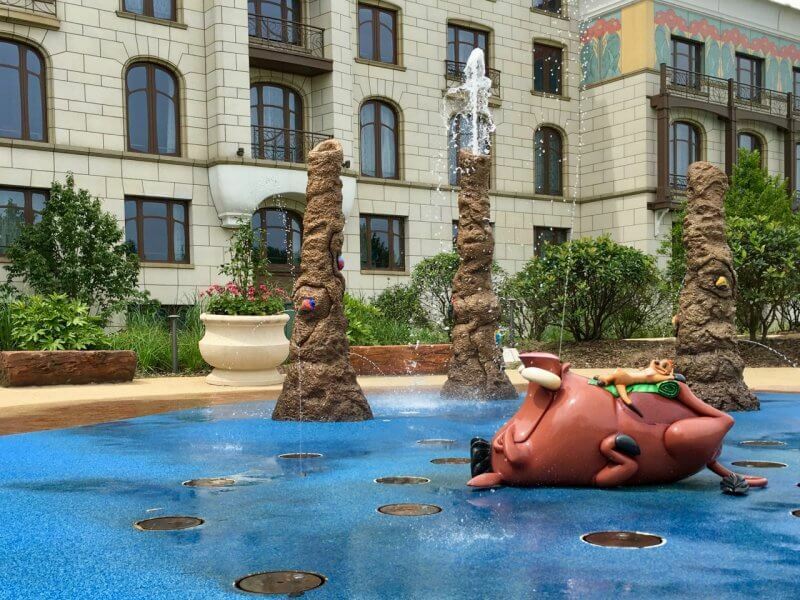 The outdoor area, Hakuna Matata Oasis, is a cute water playground for children. 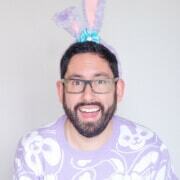 This, however, did not stop me from going out there and enjoying myself. There’s even a hedge maze! There is an ATM on the main floor which accepts various overseas credit cards (I used my Japanese Shinsei Bank Card with zero issues and others used their US/Australian credit cards). The free wifi is throughout the hotel, but as mentioned many times in our guides is subject to the Great Firewall of China — Facebook, Google, Twitter, Instagram, and other services are blocked. I recommend this SIM Card which exempts you from the firewall (which is what I used on the trip). Another transportation option is the ferry at the back of the park, which takes about 10 minutes. Check the schedule of departure times as it may be faster to take the bus. A Family Mart convenience store (which is a Japanese convenience store chain) is right at the ferry dock and carries items such as fresh food to drinks to anything else you can think of. You can also walk to the park, which takes you about 20 minutes. The gift shop has a large number of items from the park and Shanghai Disneyland Hotel branded merchandise. I treated myself to a passport holder with the Disneyland Hotel logo on it. 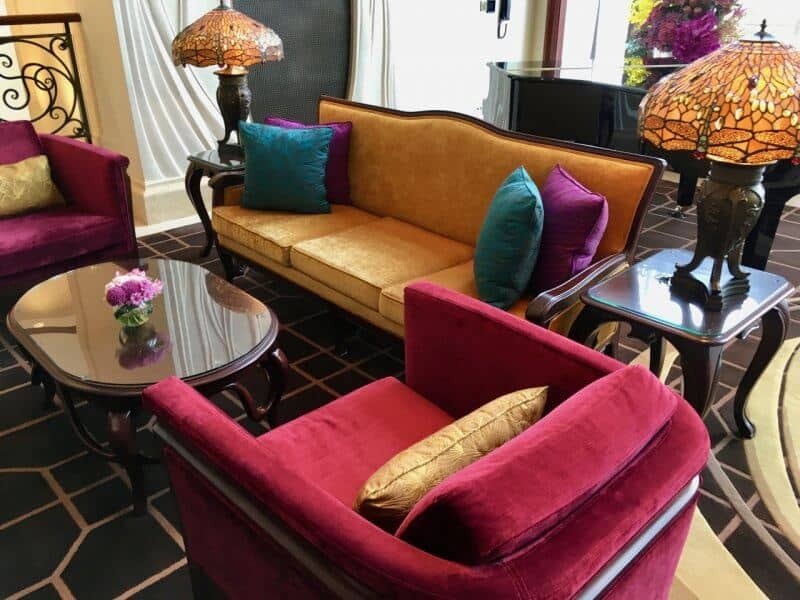 The lavish lobby, with its tall pillars and a beautiful ceiling, makes it difficult to want to explore other parts of the hotel. I spent a large amount of time relaxing in the lobby area to soak in the view of the park and the sheer elegance of my surroundings. I am easily impressed; what can I say? The large statue of Mickey and Friends is also a nice touch. 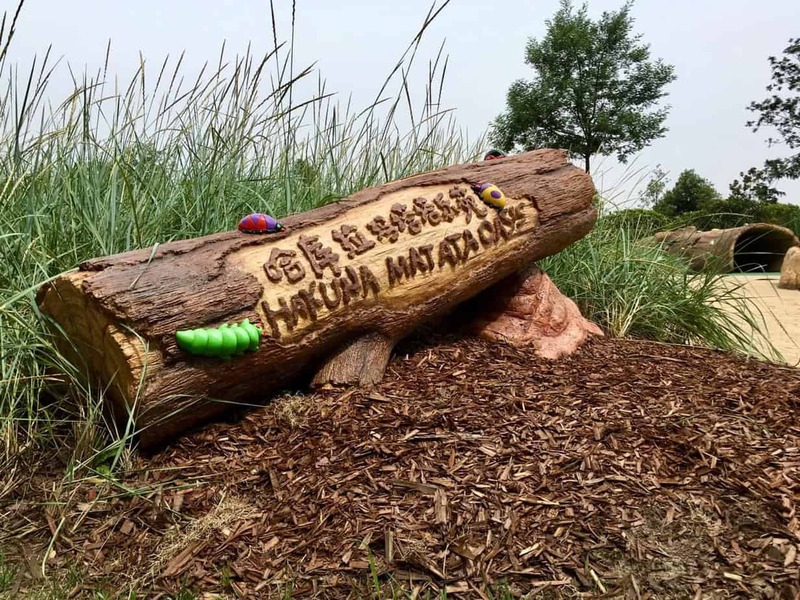 The exterior has fantastic earth tones which radiate a feeling of relaxation and calmness. I am generally an anxious person and I found myself more than relaxed while I explored the grounds. Unlike the Toy Story Hotel, the Disney aesthetic is subtle and not-so-subtle (as mentioned before) and it just works. The sense of high-class and elegance spans the entire hotel. During our visit — which was the Grand Opening — everything was immaculate. A quick summary of everything mentioned above. Spend at least two nights at the hotel (if your budget allows). 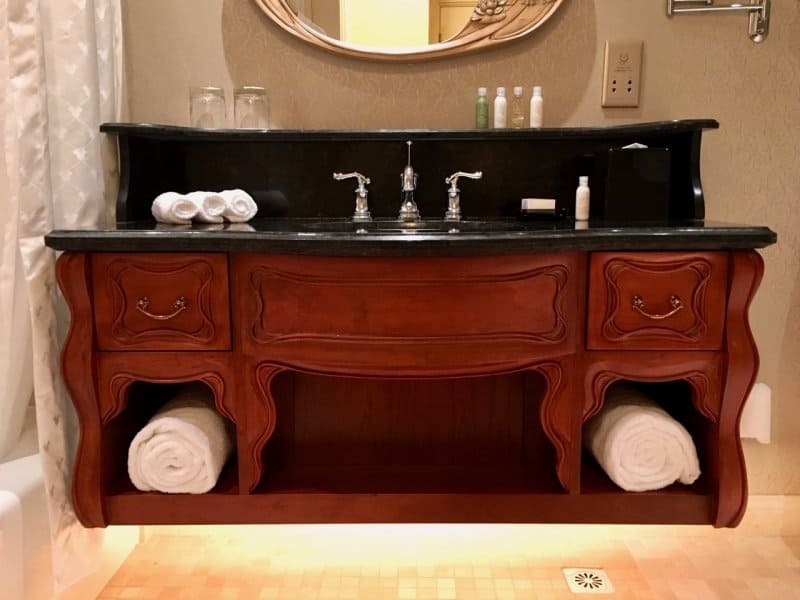 This way you are able to soak in everything this beautiful hotel has to offer. If you want the full Shanghai Disneyland experience, then the Shanghai Disneyland Hotel is a must. The hotel overall is wonderful and for the starting price, you can’t go wrong. 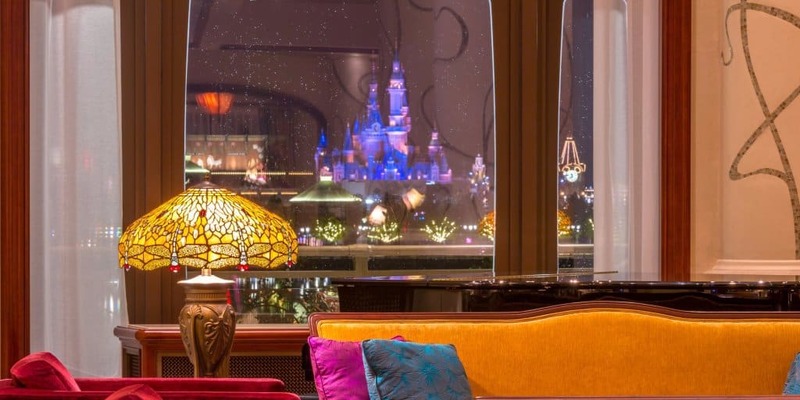 The aesthetic is different than the other Disneyland Hotels — Hong Kong Disneyland Hotel and Tokyo Disneyland Hotel — which makes it difficult to do a direct comparison. But, if I had to say where it fell in the rankings, I would put it in third place (with Tokyo in first and Hong Kong in second). 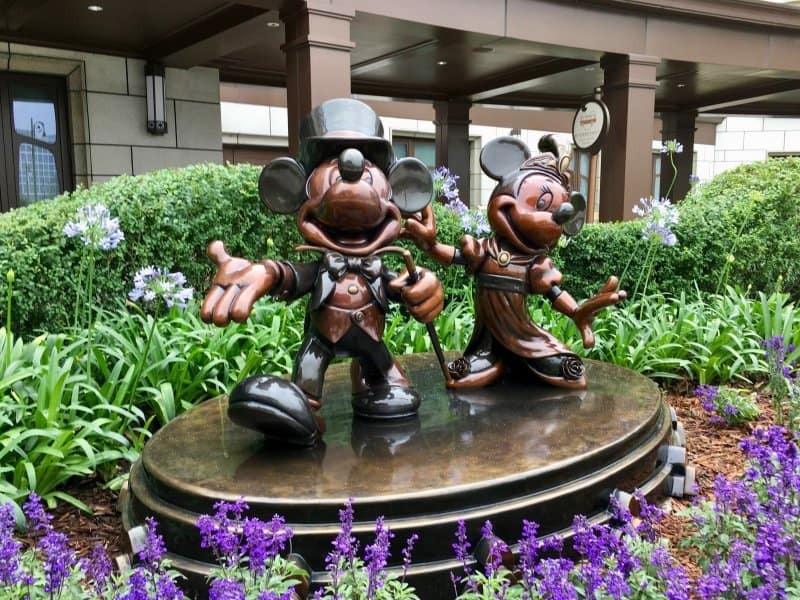 For another opinion on this hotel, read the review by our friends at the Disney Tourist Blog. 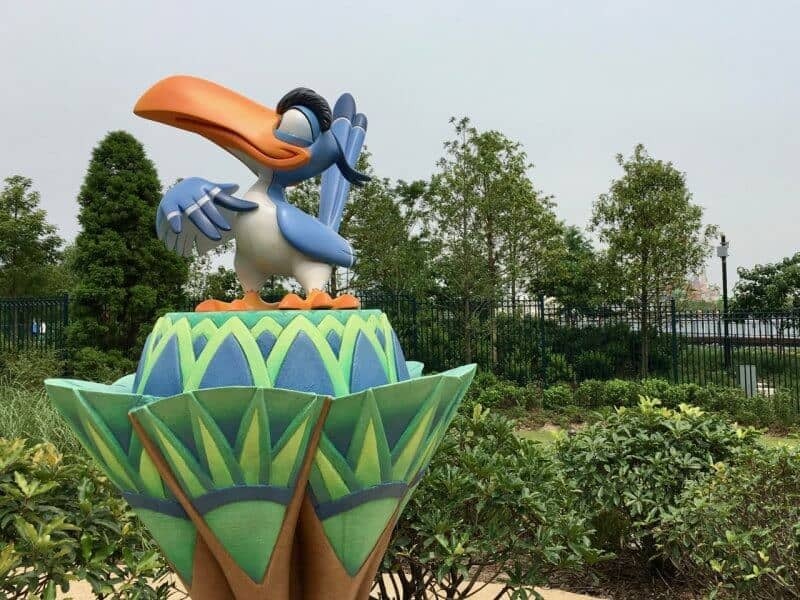 If Shanghai Disneyland is part of a larger Disney trip in Asia (Hong Kong and Tokyo), then it may be hard to justify the extra cost. In that case, the Toy Story Hotel is a perfect alternative (you can’t beat staying on property). Another alternative is staying at a non-Disney hotel such as The QUBE Hotel, which is about 10 minutes away by taxi. Don’t forget to read our full planning guide to Shanghai Disneyland as part of your research for your trip! Feature photo and select photos by Duy Phan Photography. If using these photos please give credit to tdrexplorer.com & Duy Phan Photography and do not alter the photos in any way.